Teaches the very basics the State requires for a teen to get their license. 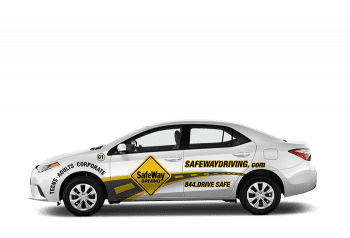 While we provide the best State Minimum course in Texas, keep in mind an additional 30 hours of in-car driver training must be completed and documented before you will be eligible for your license. When you enroll in the SafeWay Minimum your teen will receive 7 SeatTime Hours leaving the full 30 additional State required hours to be completed by you. While we offer the best State Minimum driving program in Texas, there is a big difference between just getting your license and learning how to drive on today’s dangerous roads. SeatTime = Lifetime.